The One-Day Rock & River package combines 2 of the most popular adventures in Moab: The Hummer Safari and Colorado River Rafting. This package includes a delicious barbecue lunch on the river. HUMMER SAFARI » Within minutes of departure you'll be scaling one of Moab's famous redrock fins on your way to an area known as "Hell's Revenge." Weave in and out of rock canyons, feel the excitement of climbing unbelievable sandstone hills. Learn about the geology and unique history of the area. Experience a spectacular overlook into the Colorado River and Arches National Park where you'll have time to get out and take photos of the incredible surroundings, including awesome views of the La Sal Mountains. 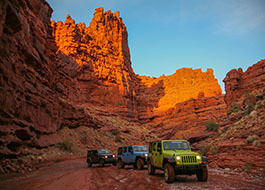 It's the most exhilarating way to explore Moab's unique backcountry in style and comfort. MID-DAY RAFTING TRIP » On one of our most popular trips, you’ll sample the beauty and excitement of the full-day trip on a Mid-Day river adventure. This trip begins at Rocky Rapid. Enjoy an exclusive hot barbecue lunch at a riverside ranch where you'll have plenty of time to relax and take in the one-of-a-kind scenery on this stretch of river. 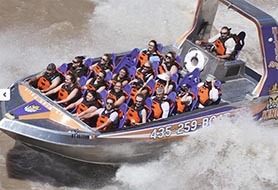 After lunch, hold on tight as we raft famous White's Rapid. On this trip, you can paddle in a raft or inflatable kayak or sit back and relax in an oar boat while your guide skillfully handles the oars. 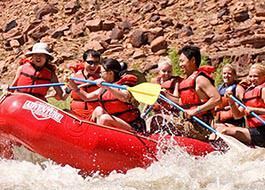 The Mid-Day trip is an excellent option for combining the river adventure with other fun-filled tours available at the Moab Adventure Center. Click "Keep Shopping" in the top left to return to this page. Apply promo code: ROCK and complete your order. Slickrock Hummer Safari with Molly - THE BEST!!! One of the all time best adventures we have done as a family! We are two families traveling with 3 teenage boys, and boy did we luck out getting Molly as our tour guide. She has so much energy, is hilarious, and has a ton of experience on those Hell's Revenge trails. The first hump, Devil's Backbone, had us all squealing with fear and delight all wrapped up in one emotion!! We soon realized those Hummers can handle any terrain, as we went over everything imaginable. The scenery was out of this world and laughed non stop from start to finish - thrilling!! Molly was an expert driver and she made the tour extra special with her personality...a week has gone by and we all still talk about our tour!! Thank you for an amazing once in a lifetime adventure that will never be forgotten. 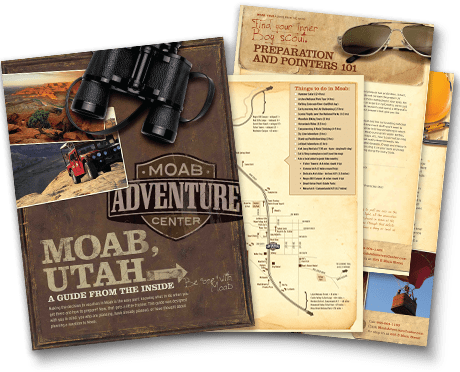 The Moab Adventure Center offers great customer service, from the telephone agents, to the guides and employees on site. We did 3 activities with them and we were not disappointed. 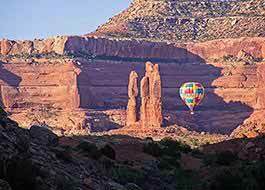 If you are in Moab, you got to try one of their activities. We experienced the Sunset Jetboat Tour that showed us amazing sceneries. 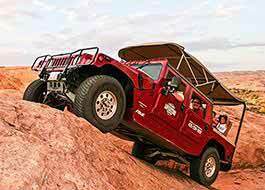 Some of us did the Hummer Safari, scary but thrilling! And finally, some of us did the canyoneering activity and they absolutely loved it. If we go back to Moab, we will for sure try something else with them.